There may come a time (if you're reading this it probably already happened to you) when your veterinarian will recommend the best low protein dog food for your pet. When a dog digests protein it produces toxins that are traditionally flushed out in the urine. If, for some reason, your dog's body cannot properly digest these proteins he may need to be switched to a low protein diet. The best low protein dog food may be prescribed for many reasons. This diet is a bit controversial, since most dogs require a sufficient amount of meat. 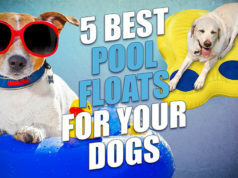 It's usually only recommended for dogs with kidney or liver problems. Our team has analyzed a large number of dog food brands for their protein content and specific protein sources to pick out the best low protein dog foods and rank them based on a variety of factors that qualify them as a good option. Here are the five best low protein dog food brands; scroll down below for full details. * Click on the dog food brand for more information, prices and nutrition. Alternatively, scroll down below to read our overview. Veterinarians and scientists agree that several dog health issues can be solved by switching your dog to low protein dog foods. So if your dog has renal issues, or other canine kidney disease related problems, low protein dog food may be the best option. However, other health problems or preventions from illnesses as listed above may also be a good reason to look into placing your dog on a new diet that's low in protein. You never want to switch your pet to one of the best low protein dog food brands without consulting your veterinarian. All low protein diets have a different amount of protein. Depending on your dog's individual needs your vet will prescribe the right food. Many of the best low protein dog food blends are only available by prescription. In the below list of best low protein dog foods, we've listed five best brands that majority of vets recommend and owners choose. However, if you're unable to pick the best option out of these, there's ten more alternatives of low protein dog foods listed below. Holistic Select has a wide range of dog food preparations that are especially formulated for many dog stages and conditions. The choices include recipes for puppies, adult and senior dogs. 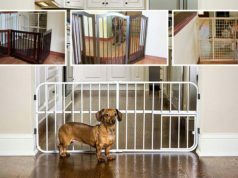 For these life stages, buyers may also choose between recipes for large and small breed dogs, and a variety of protein sources, such as chicken, anchovy, duck and lamb. Weight management formulas are also available to support healthy weight with all-natural, premium ingredients, active probiotics and digestive enzymes. Many consumers were concerned about a low rating given on this product, so they inquired from the manufacturer and conducted their own research and observation. 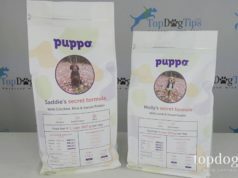 They insist that this is a premium dog feed and has been their dog’s trusted feed for a considerable period of time. 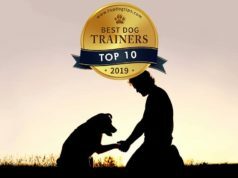 With Holistic Select Natural Dry Dog Food, their dog’s weight has been easier to manage, muscle development and their dog’s energy have always been at the optimum level, and those whose dogs suffered from excessive shedding found a solution with this formula. Among those who believed this to be the perfect meal for their pets, also found it to be quite pricey compared to other products in the same category. Buyers also noticed that their dog’s breath started smelling fishy with this meal. In general, customers who bought this product were convinced to make a repeat order, because they observed their dog’s condition improve. This food formulation is especially designed for overweight dogs who have inactive routines. It is made from lean meat protein sources, with selected fruits, vegetables and essential oils to make weigh management easier without compromising good health and balanced nutrition. This dog food from Nutro is proudly made in the USA and sold in packages of 30 pounds and smaller. It's also available in cans of 12.5 ounces. The ingredients are mainly sourced within the US and Canada, with some ingredients sourced from New Zealand. Owners of overweight dogs found out that this was exactly what their dog needed. It did not only solve the weight problem of their dog, this special recipe also solved their dog’s skin allergies and made his coat shiny. ULTRA Weight Management Dog Food looks like homemade food and dogs loved the taste. Many medical issues have been resolved, and owners are happy that their dogs were able to do away with some medications after continuous use of this best low protein dog food. Buyers feel that this product costs more than other weight management formulas. They noted, however, that the price difference is worth it, since this dog food has significantly reduced their expenses for steroids and vet fees. Costumers are confident feeding dogs with this formula, because it is gentle on their dog’s digestive system while working effectively on weight management and complete nourishment. This dog food from Natural Balance makes feeding simple and nutritious by making use of limited ingredients. Premium bison meat is the main source for this meal’s high-quality protein and low-calorie content. Sweet potatoes provide adequate levels of potassium and energy. No artificial ingredients, colors or preservatives were used in the manufacture of this product. It is available in packs of 4.5, 13, and 26 pounds. This brand also carries other variants that include venison, fish, and chicken as protein sources. Customers who had been looking for dog foods with limited ingredients finally found one that was perfect for them. With truly limited ingredients, pet owners were sure that nothing that their pets were allergic to was included in this meal. The bison flavor is well-loved by dogs and it is most beneficial for pets that reacted to chicken. Some buyers, however, noted that there were observed changes in the product. The consistency of Natural Balance L.I.D. Limited Ingredient Diets Sweet Potato & Bison Formula Dry Dog Food seemed to have changed, and the ratio of sweet potato to meat content seemed to have increased. Now they somehow feel that they’re paying way too much for a meal based on sweet potato. While some customers were quite unhappy with the changes they supposedly observed, other customers continued to find this best low protein dog food as a great product. Their dogs seem to have not noticed the changes, too, and immensely love this food. Dogs with renal problems are probably some of the dogs that are hardest to feed. They need to be properly nourished, but with foods that are low in phosphorus, proteins and sodium, and are high in omega 3 fatty acids and vitamin B complex. This combination reduces the work load of kidneys, keeping them functioning optimally considering their impairment, assist other bodily functions to aid the kidney, and compensate for other nutrients that these dogs are deprived of. All these are uniquely provided by this prescription diet from Hill's Pet Nutrition. This is sold in a 12-13 ounce can. Buyers who have tried this on their dogs agree that it is a good product, and that it has even saved the lives of more than a few dogs. Kidney issues in dogs are not an easy condition to manage, and these pet owners were simply relieved to find that such a food preparation exists. They are thrilled that it not only simplifies feeding, but Hill’s Prescription Diet k/d Renal Health Canned Dog Food has actually helped them improve their dog’s health. However, most of these pet owners have bought this product from their vets, and they are one in saying that those sold on Amazon are very overpriced. These consumers think Amazon needs to check the pricing for this product, because many pet owners would prefer buying online even for a slight difference in exchange for the convenience. Overall, customers found this product very satisfactory and would buy it again in a heartbeat. This food is especially formulated for adult dogs in their senior years to help them live actively and improve their quality of life. This recipe from Hill's Pet Nutrition contains chicken, lamb or salmon as high-quality protein sources. Wholesome and natural ingredients, vitamins, minerals and amino acids were added to provide antioxidants necessary for bringing back the youthful health of aging dogs. This best low protein dog food is sold in 33-lb bags, but is also available in smaller sizes of 5 and 17.5 pounds. No artificial ingredients were used in preparing this product. Customers who tried this on their senior-age dog, and other dogs with kidney conditions, soon found out that this also worked for the rest of their pack. Their dogs which were otherwise healthy gobbled up the food excitedly, so their owners could only think that the food must taste good. In short, this food easily became a hit for households with dogs needing a low protein diet. In effect, pet owners loved buying Hill’s Science Diet Adult 7+ Active Longevity Original Dry Dog Food. Their dogs lost excess weight without losing vitality, and senior dogs showed much more energy and enthusiasm. Weight and health management has become a lot simpler. A buyer complained, however, that this product contained corn, which was reflected in the list of ingredients as “whole grain.” This has caused his dog to suffer from stomach upset. Most buyers didn’t have this problem, but precautions must always be taken, especially for pets with medical issues. Transitioning and following the correct proportion of this food is crucial when feeding dogs for the first few days. Kidney disease in dogs is a very serious issue. However, it's not the only reason to consider low protein dog food as other health problems may also be a good cause for concern with changing your pet's diet. If you were unable to pick a good low protein food for your dog in the above list, here are ten more alternatives you should consider. Have you and your dog tried and tested any of these low protein dog food brands? If so, how did your pooch react and did it fix any health problems – particularly kidney disease – in your dog once he stayed on the new diet for a while? Please share your findings with other dog owners below in the comments!